When permitting for an ISR uranium mine, ‘Agreement States’ have been given the authority to issue permits on behalf of the Nuclear Regulatory Commission (NRC) or the Environmental Protection Agency (EPA). A state can be an Agreement State with one or both of the above Federal Agencies. An NRC Agreement State has the authority to issue the Radioactive Materials License normally issued by the NRC. An EPA Agreement State can issue the Underground Injection Control (UIC) permit normally issued by the EPA. 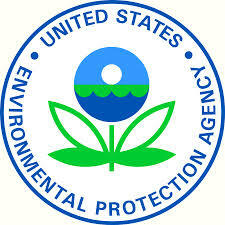 In a cooperative effort between EPA, state and tribal governments, the UIC Program works toward protecting underground sources of drinking water (USDW) from contamination by regulating the construction and operation of injection wells. Underground injection wells are primarily used to dispose of wastes into the subsurface and have the potential to adversely affect USDWs. Five classes of wells are defined according to the type of waste that is disposed and where the waste is injected. Wyoming is not an NRC Agreement State but is an EPA UIC Agreement State while Texas and New Mexico are Agreement States for both. The new Form I-9 was released on March 8, 2013 and employers must start using it exclusively beginning May 7, 2013. The purpose of Form I-9, as most of us know, is to help employers “verify our new employee’s identity and employment authorization”. Along with Form I-9, there is E-Verify, which is an “internet based system that compares information from an employees’s I-9 to data from the U.S. Department of Homeland Security and Social Security Administration to confirm employment eligibility”. Section 1 – (Employee Section): The Form I-9, the complete instructions, and the List of Acceptable Documents, all nine pages, must be given to new employees on their first day of work. The employee must fill out and sign Section 1 on their first day and should have it completed and checked by the employer before they actually start working. They need to provide their full legal name, any other names they’ve used (e.g. maiden name), current full address (P.O. Box not permitted), date of birth, attest by checking appropriate box to indicate U.S. Citizenship or other legal authorization to work in the U.S., signature and date. The employer must review all the information the employee provided in Section 1 and ensure they have filled in all the required fields and signed and dated the form. In the case of the employee using a Preparer/Translator, the employer must ensure that section is also completely filled and signed. Employers also need to note when the employee’s employment authorization will expire and will need to remind those employees at least 90 days before the expiration that they need to reverify by presenting a List A or List C document. Section 2 (Employer Section): Employers must complete and sign Section 2 within three business days of the date of hire (first day of work for pay) of the new employee. Employees must present original unexpired documentation that verifies their identity and employment authorization. 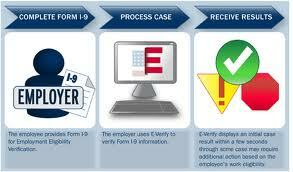 Page 9 of 9 in Form I-9 provides the list of documents that the employee can choose to present and the employee. They must present one document form List A, or one document form List B in combination with one document from List C. List A are documents that show both identity and employment authorization such as a U.S. Passport, List B are documents that show identity only, and List C are documents that show employment authorization only. Physically examine each document to determine if it is genuine. If it is determined the document is not genuine, tell employee and allow them to present another document from the list. Enter employee’s last name, first name, and middle initial from Section 1. Enter document title, issuing authority, document number & expiration date, from the original documents presented by employee. Enter the date the employee began work. Employer must sign and enter name, title, date, business name, business address. Note: there are two dates in Section 2 that are required. The employee’s first day of employment and the date the employer examined the documentation presented by the employee. Section 3 (Reverification and Rehire Section): This section must be filled out if the employee’s employment authorization or document authorization has expired, the employee is rehired within three years of the date their original I-9 was completed, or if the employee changes their name. Penalties for violating Form I-9 law: Employers must not discriminate on the basis of national origin, citizenship, or immigration status. They must also not hire, recruit or refer for a fee aliens they know to be unauthorized to work in the U.S. Employers who violate the law may be subject to civil fines, criminal penalties, debarment from government contracts, requirement to pay back pay or hire those discriminated against. Civil fines range from $375 per to $16,000 per worker and $375 to $16,000 per violation. Criminal penalties for engaging in a a pattern of practice of hiring, recruiting or referring for a fee unauthorized aliens range from up to $3,000 per unauthorized alien to up to 6 months in prison. E-Verify is a companion to Form I-9 and was created to “strengthen the I-9 eligibility verification process that all employers, by law, must follow”. The Immigration Reform and Control Act (IRCA) of 1986 prohibits employers from knowingly hiring illegal workers. To comply with this law, employers must collect information regarding an employee’s identity and employment eligibility and document that information on Form I-9. An employee must provide certain information on the form, such as name and date of birth, as well as present supporting documents. E-Verify allows employer to verify that the information and documents that employees provide for their I-9 are valid and genuine. So after the Form I-9 is completed, the company enters the information from the I-9 into E-Verify. The employer can compare the photo displayed on E-Verify with the documents provided by the employee. The information submitted will be compared against millions of government records and if the info matches, E-Verify will return an “Employment Authorized” result. If there is a mismatch, E-Verify will return a “Tentative Nonconfrimation (TNC)” result which the employer must print and review with the employee. The Employee can contest the mismatch which requires the employer to refer the cast in E-Verify to either the U.S. Dept of Homeland Security or the Social Security Administration. The employee then has eight federal government work days to resolve the mismatch. Back in January, at the CHRA 2013 Annual Conference, I attended a Master’s Lunch session called “Ownership Thinking” by Brad Hams and received his book as a bonus for attending. I planned on reading the book and blogging about it earlier and am finally getting to it now that I’m posting every day. I read the book right away, however. I also just came across an article in the April 2013 HR Magazine “An Open Book” by Dori Meinert that basically discusses the same topic. So with that, I am going to blog about both because I love the concept! Both books encourage companies to be transparent with their information and encourage all employees, including line employees, to participate in important business decisions. Open up the books to all employees and start encouraging them to think like they are owners of the company. Hence the titles An Open Book and Ownership Thinking! Hams’ subtitle, “How to End Entitlement and Create a Culture of Accountability, Purpose and Profit” directs you to his focus of where he sees the problem with many companies today. He believes that entitlement is the “insidious disease” crippling companies and destroying our economy – not the recession or scandal. That too many employees think they are entitled to a paycheck just because they show up for work. He understands that many of these employees actually want to do a good job and contribute to their employers in a meaningful way but they need an environment to do so. The Right People: Ownership Thinking creates an environment that promotes learning and development, while at the same time increasing visibility and accountability. Your best people will excel, and your poorest performers are generally self-selected out by their peers. The Right Education: Employees are taught the fundamentals of business and finance, so that they are better equipped to make decisions that are financially sound. The Right Measures: Rather than focusing only on lagging financial measures, an emphasis is placed on identifying the most critical leading, activity based measures (Key Performance Indicators, or KPIs), and utilizing those KPIs to forecast results on a regular, formal basis. The Right Incentives: The process of employee education and focusing on the right measures in an environment of high visibility and accountability will increase your organization’s profitability – guaranteed. We can now design and implement a broad based incentive plan, because it is self funding. Teaching employees to understand the business and what makes it profitable. Helping employees determine how they can affect the bottom line by setting companywide and department-level goals, keeping score, and holding people accountable. Providing employees with a stake in the outcome, through bonus and incentive programs that encourage them to get involved in improving business results. She also talks about how rare transparency is and how reluctant corporate management is about sharing financial information with the rank and file. Only 7 percent of private companies share financial information with all workers, according to an April 2012 survey by Robert Half Management Resources. Another 17 percent provide quarterly or annual financial data to select employees, while 76 percent don’t share financial updates with employees at all, the survey of 1,300 chief financial officers found. Many CFOs and CEOs “don’t want to let the secrets out because they are afraid … information is going to get to their competitor that can harm them,” says Paul McDonald, a senior executive director at Robert Half. I fully understand these concerns but I would like to think that companies can trust their employees and would increase the trust these employees have of management if they would be included in discussions and important decision making and are taught to understand the financial information of the company. I think teaching all employees to understand the company’s financials and including them in decision making and keeping them “in the loop” is important to the long term success of any company. The process helps create a strong culture of engaged long term employees who actually care about the contribution they make towards the big picture because they understand how it all relates. There is a big focus on Wage and Hour litigation these days. What is Wage and Hour? Well, the Wage and Hour Division is a division of the Department of Labor and was created clear back in 1938 when the Fair Labor Standards Act (FLSA) was enacted. The WHD is responsible for the administration and enforcement primarily of the the FLSA which includes the Federal minimum wage, overtime pay, record keeping, child labor requirements of the FLSA. It is also responsible for the administration and enforcement of the Migrant and Seasonal Agricultural Worker Protection Act, the Employee Polygraph Protection Act, the Family and Medical Leave Act, wage garnishment in the Consumer Protection Act, wage requirements in the Davis Bacon Act, and the Service Contact Act. The Wage and Hour mission is to promote and achieve compliance with labor standards to protect and enhance the welfare of the Nation’s workforce. According to ADP, 90% of all state and federal class or collective actions filed in the US are wage and hour claims and in 2010 the average settlement in the top 10 reported wage and hour class and collective actions was $34 million! The DOL is significantly increasing its wage and hour enforcement actions and has increased its 2013 budget by approximately $6.0 million to support an additional 57 investigators which in in addition to the 300 investigators added since 2009. The DOL is buoyed by data that suggests that 70% of employers are not in full compliance with the FLSA. From the HR Pro perspective, the three biggest Wage and Hour concerns are the misclassification of employees (exempt vs non exempt), remote work (technology), and working off the clock (meal periods). Misclassification is basically classifying an employee who is non-exempt as exempt. This is often done without trying to be dishonest or not understanding the duties tests that must be performed to determine proper classification. The FLSA requires that most employees in the United States be paid at least the federal minimum wage for all hour worked and overtime pay at time and one-half the regular rate of pay for all hours worked over 40 in a workweek. However, Section 13(a)(1) of the FLSA provides an exemption from both minimum wage and overtime pay for employees employed as bona fide executive, administrative, professional and outside sales employees. Section 13(a)(1) and Section 13(a)(17) also exempts certain computer employees. To qualify for exemption, employees must meet certain tests regarding their job duties and be paid on a salary basis at not less than $455 per week. 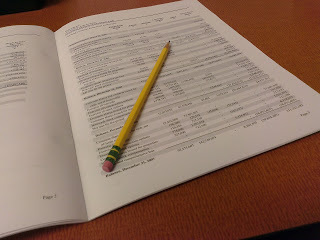 I recommend an annual audit, using the duties test for each job, of your FLSA classifications taking into account job and job description changes that have occurred. If you discover that you have a misclassification, consult your attorney immediately. I do an annual audit and have a checklist I use and will post it here after I clean it up a bit. Remote work is use of technology enabling the employee to do work outside of the workplace. Being able to access the company server and do email and taking and making work related phone calls from home are two examples. I recommend that you have a clear policy that addresses allowing a non exempt employee access to the ability to do remote work. If it is part of their job, supervisors must ensure that the employees time keeping records are reflecting any work that is done while not at the workplace. Supervisors need to monitor this closely and counsel or discipline when appropriate. Working off the clock often comes in the form of starting to do work before clocking in or continuing to do work after clocking out or during meal breaks. It used to be seen as “going the extra mile” and many employees want to empress their supervisors by doing this. I recommend that you have a clear meal time policy that is enforced by you and your supervisors. Do not allow them to do work while on their meal break and if you see them doing it, make sure the time is reflected on their time sheet and make sure you counsel or discipline them. If your system automatically deducts for meal periods, develop a system to have employees report any variances and have both employees and supervisors sign off on their time keeping documents.